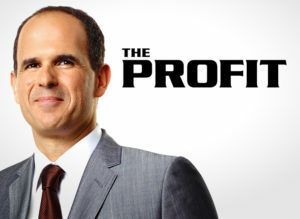 Marcus Lemonis is The Profit. Image from CNBC. Here is a piece of unsolicited advice for my associate pastor colleagues. Watch The Profit. Yes, it’s hard to find. It’s on CNBC — a channel those of us with limited disposable income rarely visit. But you have a DVR, on demand, and streaming accounts. You can find it. From the ads, the show doesn’t sound like something we would like. 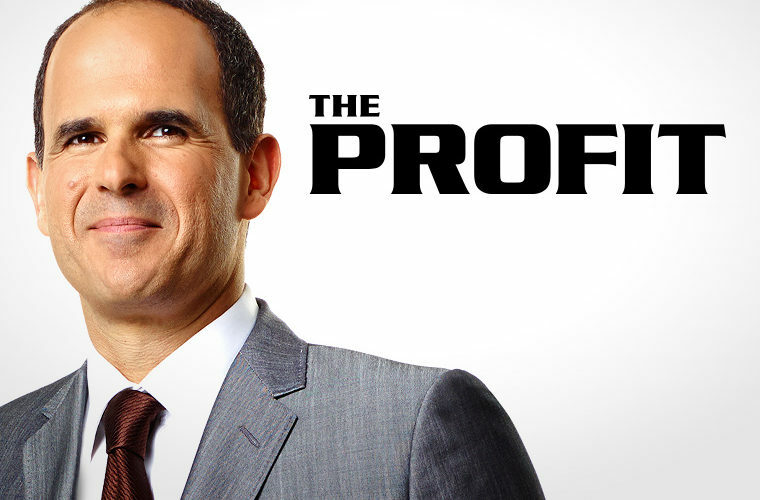 Marcus Lemonis, a ridiculously wealthy businessman, helps struggling businesses turn around. In the process, however, he teaches valuable lessons about leadership that transfer to the church. When Marcus buys into a company, he seldom purchases a majority share. He does however demand one thing. “Remember,” he says to the owners as he hands over hundreds of thousands of dollars, “when you accept this check, I am 100% in charge.” And he means it. The owners are happy to accept. Then the work starts. Lemonis makes changes and everything is up for grabs. Sometimes he changes the branding. He often alters the layout of the store, the menu, or the product line or menu. Once or twice he has even lobbied to change the name of the business. Owners do not take to this easily. Having someone else in charge is difficult to accept. Many have a hard time adjusting. Some have walked away from hundreds of thousands of dollars and a future of success, because they just cannot accept being the number 2. Serving as an associate is hard. Don’t tell your lead pastor I said this, but I think it is often more difficult to be the associate than to be the pastor in charge. We’ll talk more about that later in lesson 5. The business owners who survive an episode of the profit share one attribute. Whether they are manufacturing ice cream or drum sets; selling used cars or gourmet candy; serving burgers or all-natural dog food, the turnaround happens when the leaders are teachable. You have a masters degree in music, a stack of continuing education certificates in youth ministry, and/or years of experience in spiritual formation. Still, and let me say this as gently as I can, you don’t know everything. You have room to learn. Remain open to what the Spirit may be saying to you through the words of others. You still have much to learn. Enjoy that. I don’t know if Marcus has ever actually said this on the show, but this is what I’ve learned. Managing a business is mostly about managing people. A good leader knows and maximizes the gifts of those around them. In one episode, a company had a furniture designer who was also bidding on projects. Her designs were brilliant, but her pricing was terrible. Lemonis found someone more gifted in pricing and freed her up to focus on design. The company received multiple benefits: better designs, better pricing, and a happy employee! If we want to be better at managing our ministries, we must make people the priority. Every time I sat in my office guessing at a youth ministry budget for the coming year, it was not the best use of my time. It was also a missed opportunity for someone in my congregation to use their gifts in service to God. Double loss. When you make people a priority you get into the messy business of emotions. People come with that design flaw built into them. Including you. Lemonis never discounts emotions. He asks people why they are crying. When someone lashes out, withdraws, or otherwise behaves badly, he draws them out. He doesn’t treat emotions as if they don’t belong. He doesn’t shy away from them. Instead, he exposes them and makes them part of the process. This includes his own emotions. This example from a recent episode says it so well. “I’m record pissed,” he says about as matter-of-factly as he might say, “I’m thirsty.” Sure, there’s a bleeped expletive in the next sentence — possibly to emphasize his level of pissed-ness — but he doesn’t lose his cool. He’s aware of what he’s feeling. He names it. Then he deals with it. Pastors take note. You might not want to tell a member of your congregation that you’re record pissed with them, but there are other words you might choose. I’m frustrated. I’m confused. I’m angry. I’m hurt. I’m distracted. Name the emotions — theirs and yours. Then deal with the issue. Lemonis often discovers needed talent hidden within a company. People who are excelling in their area of responsibility but who have not been given the opportunity to lead. Some have been silenced by a grumpy boss. Some have learned they are not appreciated. Some have been saddled with responsibility for minutia someone else could be doing. In several episodes, Lemonis has taken these people under his wing. He coaches and encourages them to speak up, to stand their ground, to assert their ideas. Being an associate is hard (see Lesson 1 above). While others are given room to lead because of their position, we often have to carve out space for ourselves between the leader and the rest of the organization. It helps to have someone whispering in your ear that you can do it, that you have something to contribute, that you are a valuable part of the team. Find coaches and cheerleaders. It doesn’t have to be anything formal. My wife has been my primary cheerleader throughout my ministry, and others have helped for a season. Stay teachable (Lesson 2) and find those who see your value. So, give it a shot. Watch a couple of episodes of The Profit and share what you learn in the comments. If you have another source where you have gleaned leadership lessons, let me know that too. I love finding these real life examples of good leadership.